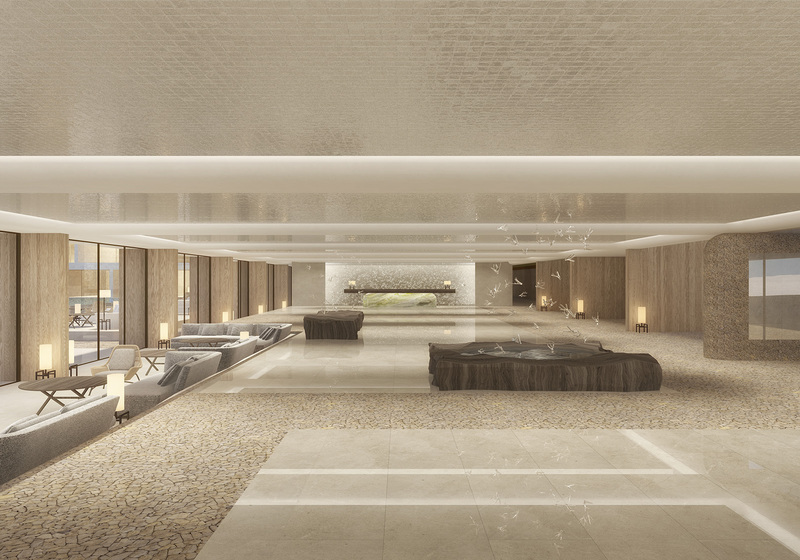 Design proposal for a luxury resort hotel in an Island location. 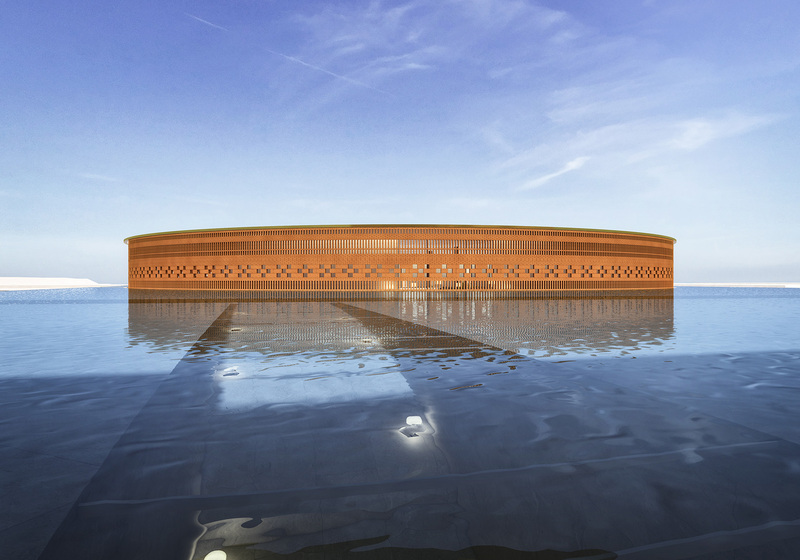 A hospitality project, located near the sea was created, emphasized by a round building in the center, surrounded by water surface, which connects with the ocean. 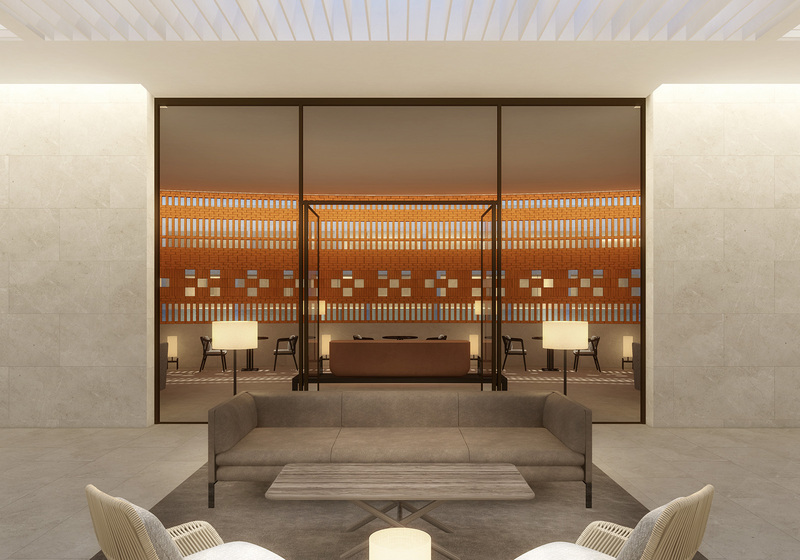 Each area has a specific pattern materials, inspired by the location of the hotel resort, representing locality and historical materiality. 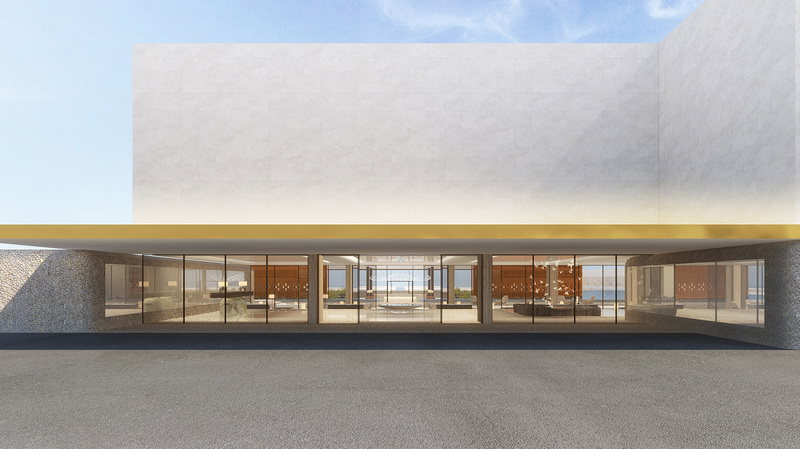 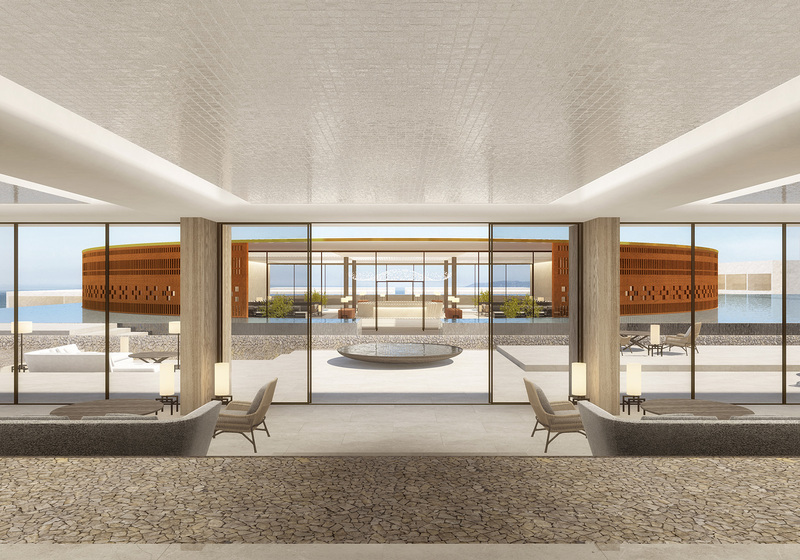 By taking such elements from the area location, the hotel becomes related to the place it would be built and presents a local touch to its visitors. 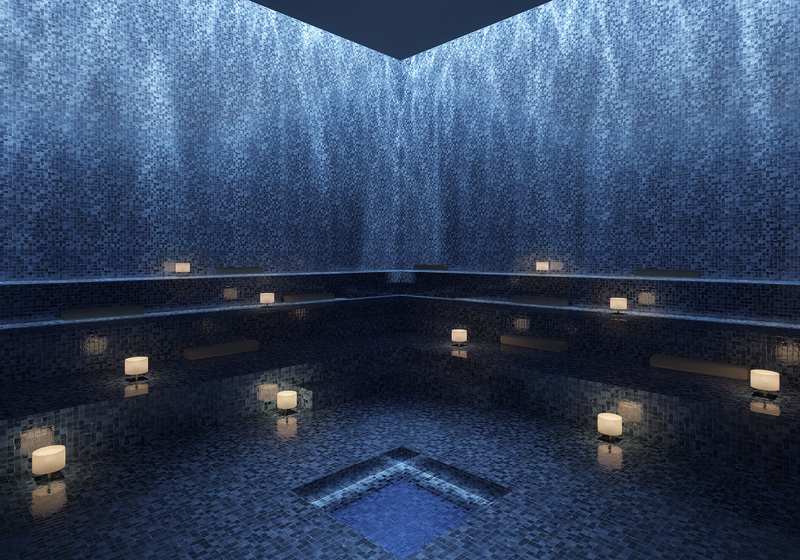 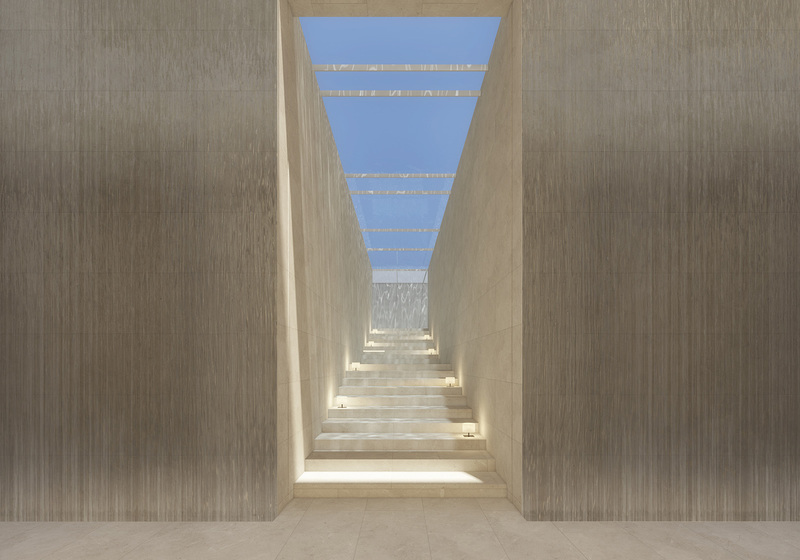 Water, as the center of the concept of this project, has influenced the architecture and each space is surrounded by the serenity and movement of the water. 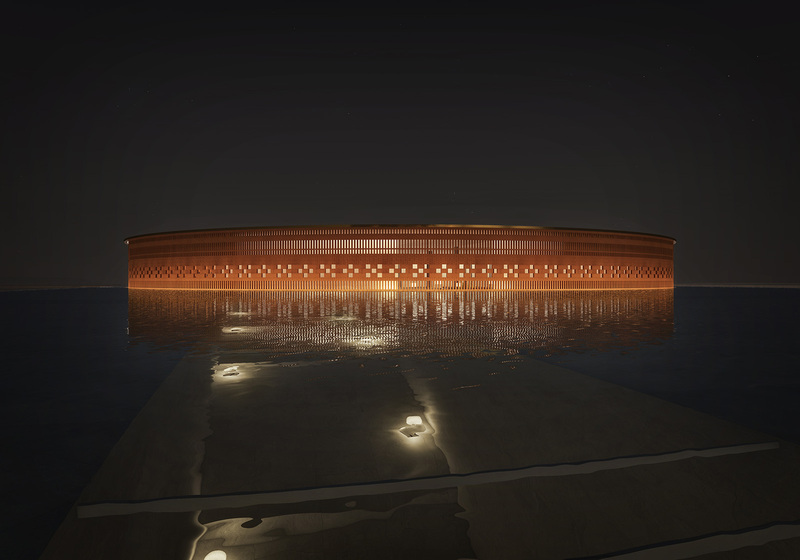 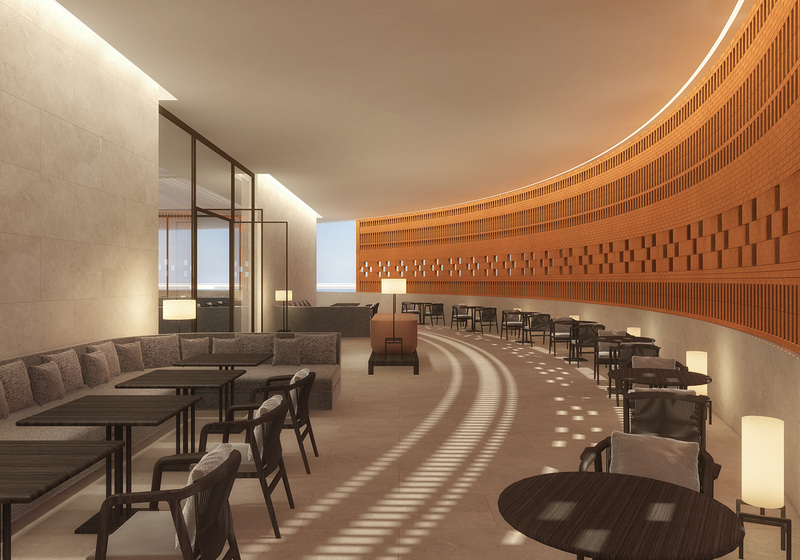 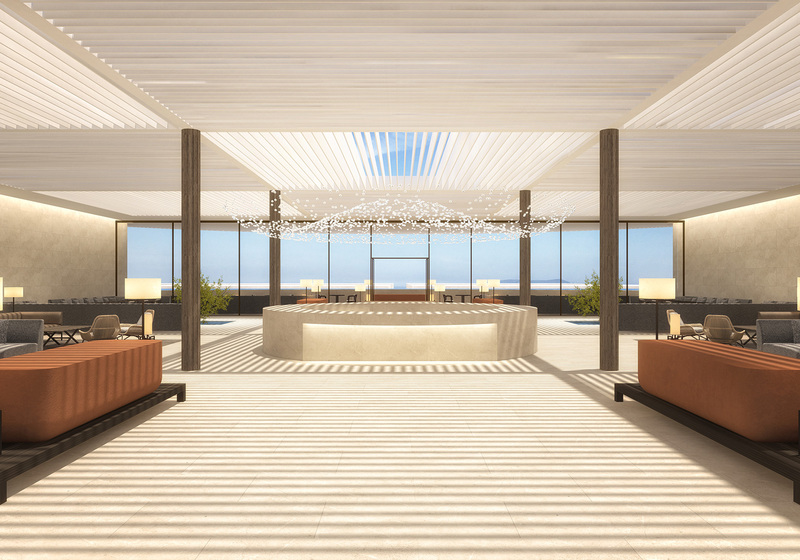 The bar, feels like being under water, while the restaurant and lobby are arranged in a circular layout to create a feeling of surrounding the ocean, being part of the outside, close to the nature.